The iPhone 6 has just been released in the UK, and retailers are scrambling to get new stock in as quickly as possible. If you weren't one of the fortunate few to get it on release day, don't worry. The good news is you now have the time to shop around for a good deal whilst retailers are waiting for new stock, and we're here to help with that. 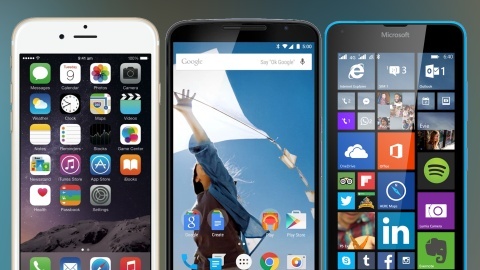 Our dedicated iPhone 6 portal - updated at least daily - covers the best deals over a variety of uses for all models, colours and sizes, but in this post we decided to go through the some of the best deals in a little more detail. We've analysed all the deals and offers we could find, and have split the best offers into different categories. We're going to make a couple of assumptions here. 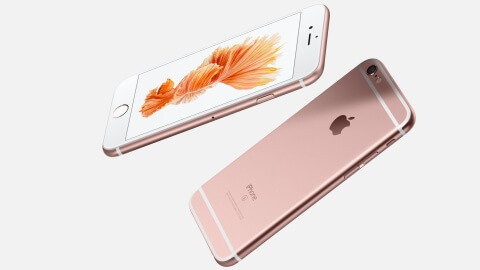 First, we're going to focus our efforts on the 16GB and 64GB versions of the iPhone 6 for now. Of the two, we would recommend the 64GB version; it's the more likely to strike the right balance between price and storage space, allowing most users to comfortably store their photos, music and videos. Second, we're going to assume that you're looking for a deal that has a good balance between what you pay upfront and what you pay every month; so we're only looking at deals where you will pay a maximum of £200 for the phone at the beginning of the contract. 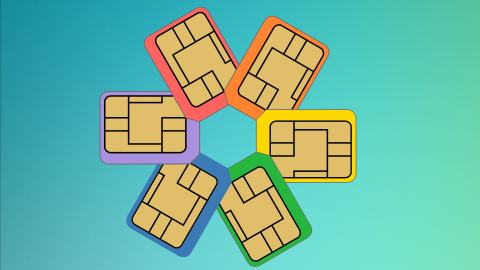 Whilst you'll technically be able to get a cheaper deal if you spend more than that at the beginning of your contract, at that point you may as well buy the phone separately and get a pay as you go card or SIM only contract with it. You can switch between the best deals for the 16GB and 64GB versions by clicking on the tabs below. The cheapest deal for those of you who want to get the iPhone 6 with a very light voice and data allowance comes from GiffGaff. For £60 upfront and £29.89 per month, you can get the iPhone 6 with 200 minutes and 250MB data. GiffGaff's stock seems to be particularly fleeting, so if this is deal you want and they don't have it first time you visit, our advice would be to keep checking every now and again. Alternatively, you can get a similar contract on Vodafone from Mobile Phones Direct: an upfront cost of £49.99 with £30.50/month gets you 300 minutes and 250MB data. If you'd like to have a little more talk time and data, your best option is on Vodafone from Mobiles.co.uk; £30.50/month and £99 upfront gets you 600 minutes and 500MB data. 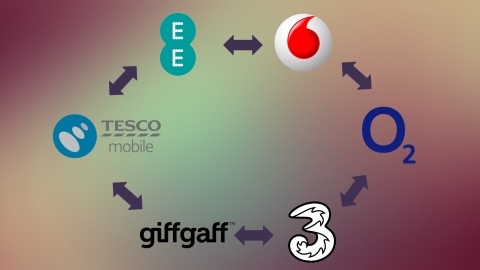 Finally, the best two deals with 1GB are on GiffGaff and Vodafone via Mobiles.co.uk. If you're the kind of person who will use data to a resonable degree but isn't constantly streaming content, then you probably want a data allowance in the the 2-4GB range. The lowest price deal over 2 years with 2GB data comes from The Smartphone Company on EE for £30.99/month, with an upfront cost of £179.99. If you'd like more data, the best offer with 4GB comes from Vodafone on Mobile Phones Direct for £9.99 upfront and £39.50/month. Finally, Tesco Mobile offer 3GB data, 3000 minutes and 5000 texts for £41/month - it's not as cheap as the other deals mentioned in this category, but it's the best value deal where you don't have to pay anything upfront. If you think a tariff with 5GB is best suited to your needs, it's a close call between O2 from Carphone Warehouse and EE for the best offer. The O2 offer costs less upfront, but you pay more per month, whereas with the EE offer, you have to pay more at the start and less per month. You face a similar kind of choice at the 7GB price point too, although in this case both of the best deals are on Vodafone via Mobile Phones Direct. Finally, the best deal with 10GB is £39.99 upfront and £43.99/month on EE (again from Mobile Phones Direct). Finally, for those of you who want to use data with reckless abandon. 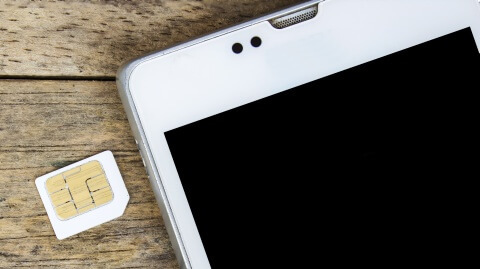 The best deals that come with 20GB data from each network are very similarly matched, with O2 (via Carphone Warehouse) just edging the competition. Finally, if you're looking for unlimited 4G data, then you'll want to go with Three: unlimited minutes and data comes to £45/month with £99 to pay upfront. The cheapest deal for those of you who want to get the iPhone 6 with a very light voice and data allowance comes from GiffGaff. For £60 upfront and £33.56 per month, you can get the iPhone 6 with 200 minutes and 250MB data. GiffGaff's stock seems to be particularly fleeting, so if this is deal you want and they don't have it first time you visit, our advice would be to keep checking every now and again. Alternatively, you can get a similar contract on Vodafone from Mobile Phones Direct: an upfront cost of £131.99 with £30.50/month gets you 300 minutes and 250MB data. If you'd like to have a little more talk time and data, your best option is on Vodafone from Mobile Phones Direct; £30.50 and £183.99 upfront gets you 600 minutes and 500MB data. 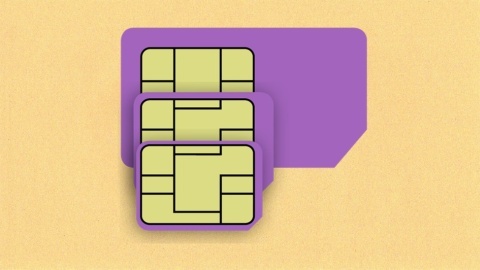 Finally, the best two deals with 1GB are on GiffGaff and Vodafone via Carphone Warehouse. If you're the kind of person who will use data to a resonable degree but isn't constantly streaming content, then you probably want a data allowance in the the 2-4GB range. The lowest price deal over 2 years with 2GB data comes from Mobile Phones Direct on Vodafone for £39.50/month, with an upfront cost of £69.99. If you'd like more data, the best offer with 4GB again comes from Vodafone on Mobile Phones Direct for £99.99 upfront and £39.50/month. Finally, Tesco Mobile offer 3GB data, 3000 minutes and 5000 texts for £45/month - it's not as cheap as the other deals mentioned in this category, but it's the best value deal where you don't have to pay anything upfront. We have not recommended any deals with 5GB data as across the board, the overall cost of the contracts over 2 years comes to more than the cheapest deal with 7GB data. This deal comes from Vodafone/Mobile Phones Direct, at £75.99 upfront and £44.50/month. Moving up to 10GB, it's a close call between Vodafone/Mobile Phones Direct and EE/The Smartphone Company for the best offer. Finally, for those of you who want to use data with reckless abandon. The best deals that come with 20GB data from each network are very similarly matched, with O2 (via Carphone Warehouse) just edging the competition. Finally, if you're looking for unlimited 4G data, then you'll want to go with Three: unlimited minutes and data comes to £50/month with £99 to pay upfront.